Sparkling wines’ lovers obviously know Champagne, and sometimes Prosecco, which is currently very popular because of its price and the success of Spritz, a cocktail of which it is one of the main ingredients. But who really knows Cava, this "Spanish champagne" which is for most specialists the best quality-for-money sparkling wines you can find? And that's a shame. Made in the traditional method or “method champenoise” but in a different terroir (mainly Peñedes in Catalonia, Spain) and with other grape varieties (mainly Macabeu, Parellada and Xarel.lo), Cava is not just another sparkling wine. After a small tasting, we are more than convinced that you will agree with our assessment: it has all the characteristics of a great sparkling wine. Elegant on the palate, tiny bubbles, good acidity, we just love it! And that's why we wanted to offer you a beautiful special Cava box tasting with 3 bottles of 3 very interesting Cava producers. Champagne lovers will be more than pleasantly surprised! A fantastic and elegant Cava gift box to surprise Champagne lovers! The name of our small producer (Rimarts) comes from a contraction of that of the founder of the winery, Mr. Ricard Martinez Simón, who decided in 1987 to create totally artisanal Cavas, where the production processes would be traditional, very precise, using only ecological grapes and where mechanical handling would be reduced to a strict minimum. And it is this philosophy that still guides the winery today. 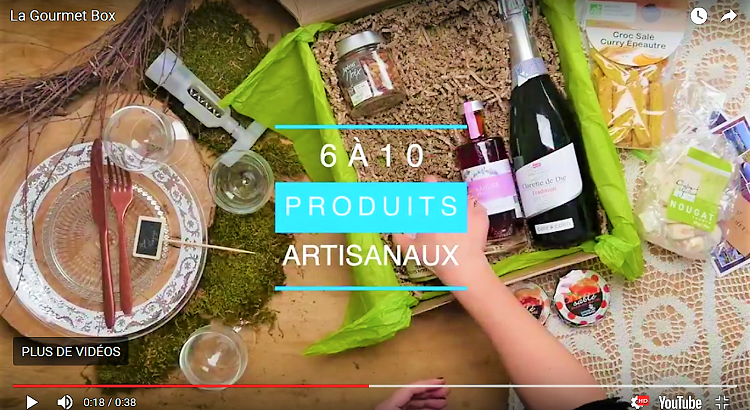 To check it, all you have to do is having a look at the bottle label: you will be able to read for instance the disgorgement date of your bottle! Precision. In this cava from the Penedès region, the most renowned terroir for the production of the best cavas, we find the traditional coupage of the region: Macabeu, Xarel.lo and Parellada. 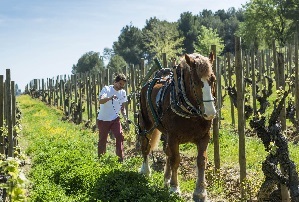 Unlike many champagnes, cavas are vintage which gives each cava its specificity. 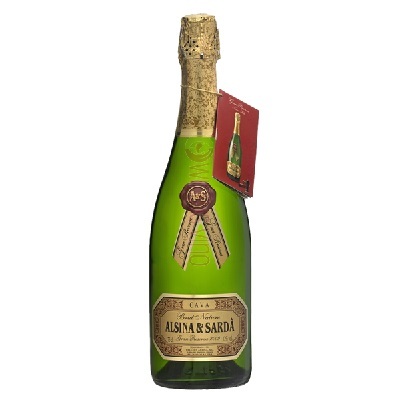 Another particularity of this cava compared to champagne: it is a "natural" cava, which means no expedition liqueur (no sugar) is add after disgorging what gives an additional finesse to this brilliant sparkling wine. Golden yellow colour, the bubbles are small, persistent and very well integrated. Complex, with a nice intensity and enjoyable aromas of aging, ripe fruits, and toasted herbaceous notes, it offers a beautiful length in mouth with a very pleasant finish. A signature organic cava of the Penedès very nice to taste alone for the aperitif, but which can also accompany perfectly a meal from beginning to end. 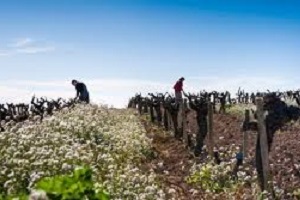 In organic conversion, this winery takes care of every details to produce excellent cavas since 1982. 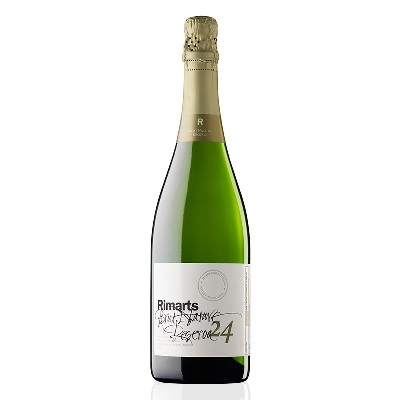 Made from carefully selected vines over 30 years old in selected plots with a very particular microclimate, this coupage of the 3 great emblematic varieties of Peñedes (xarel.lo, macabeu and parellada) is a delight for sparkling wine lovers. Its long ageing on lees (between 36 and 48 months for this Gran Reserva!) allows to obtain a balanced acidity, a creaminess and subtle and well-integrated bubbles. Golden in colour with greenish overtones, notes of candied white fruit, honey, syrups and dried fruit emerge on the nose. In the mouth this Gran Reserva is full, tasty and fragrant. You will be having a great time! It is recommended as an aperitif, with Iberian ham for example, or to accompany fish, sushi, white meats or creamy cheeses. Ideal tasting temperature: 6º to 8ºC. 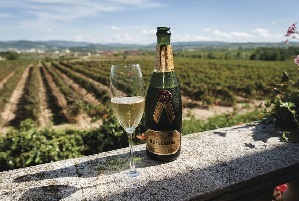 Following a conflict with French champagne producers over the use of the name "Champagne" by Cava producers, the name Cava was created in 1972. This national label covers extremely different terroirs throughout Spain, which, for some winery, quickly raised a question of negative brand image that can be reflected in the appellation as a whole due to the disparity in the quality of cavas produced from one terroir to another. Raventos i Blanc, this historical estate in the making of cava since Mr. Raventos was the pioneer of sparkling wine making in the region at the end of the 19th century, decided recently to leave the Cava appellation to highlight the unique characteristics of its terroir and the excellence of its sparkling wines produced according to the Champagne method. 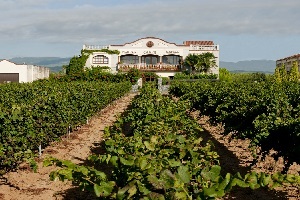 The estate boasts the unique qualities of its terroir and practices: unique soil of marine origin, use of 100% indigenous vine varieties, biodynamic cultivation of the vines, own vinification process and elaboration, vintage wines only, to reflect the particularities of the year and all the wines are matured on lees for a minimum period of 18 months. 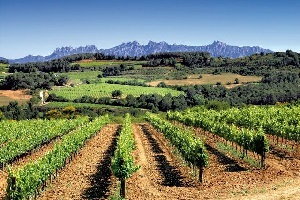 In short, everything is done to obtain unique sparkling wines and gives these exceptional Cavas a touch of salinity, minerality and creaminess. 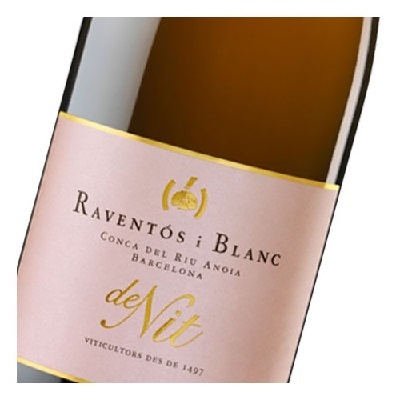 We have chosen for our cava box set this cava Rosé with the poetic name "De nit" ("By Night" in English) with a beautiful pale pink colour and fine bubble. It is a coupage of the 3 emblematic grape varieties of the Cava appellation, to which is added a hint of Monastrell which gives it its colour. It offers great complexity and elegance on the nose with citric and fresh white fruit aromas. In the mouth, a beautiful harmonious acidity coupled with a fine bubble blends with aromas of fresh red fruits with a long return in the mouth. 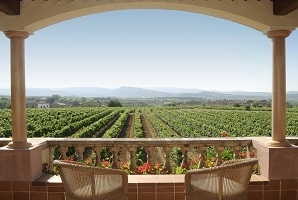 Champagne lovers, just taste those cava : guaranteed to wow!